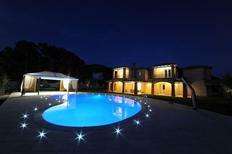 Holiday villa for six people with a great view and a large pool on the Costa Smeralda. 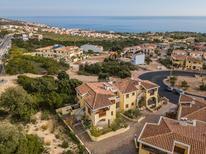 Sardinia | Would you like to know which holiday home or apartment is particularly worth spending a holiday in? 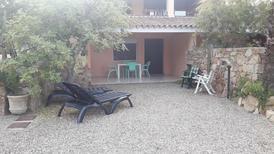 Here we'll show you the accommodation on Sardinia, which has received the best reviews from our customers. 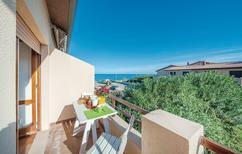 “The proximity to the sea is sensational,” wrote one atraveo customer. 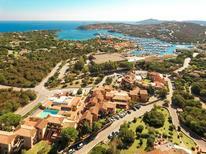 Sardinia | The Costa Smeralda stretches between Palau and Olbia – one of the most popular beach sections on Sardinia. 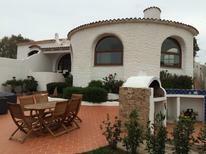 With the right holiday home, you’ll be able to stay here near the sea. 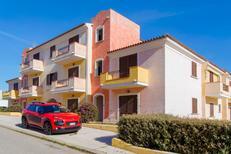 A holiday house on Sardinia costs on average GBP 639 in the cheap travel period and GBP 1,562 in the peak season per week. These details are of course in relation to the house and not per person as well as includes the obligatory additional charges. The beauty of the countryside, azure blue sea and hospitable locals give you the feeling that Sardinia is a place separated from time and history. The most well known coastal strip and at the same time synonymous for the island is Costa Smeralda also referred to as the coast of rich and famous. Wherever you book your holiday rental home, every km of Sardinia offers thousands of years of Italian heritage dating back to the Bronze Age. With 1849 kilometres of glorious rocky coastline, you are never far away from long beaches and famously crystal blue and emerald waters like those of Costa Smeralda. East of Italy in the Mediterranean Sea, the island delights in hot summers (averaging 31 degrees) and mild winters (15 degrees). Sardinia's magnificence extends in a magical labyrinth of caves and grottos that lace through its foundations, some stretching to 10km. Capo Caccia with its Stone Age drawings in South Sardinia and Grotta di Nettuno in East Sardinia are amongst the most famous. Day excursions are plentiful taking you into Sardinia’s secret caverns - fantastic for the whole family! Diving tours amid the island's shipwrecks are also great fun. Swim with Mediterranean monk seals in North Sardinia, famed for its beautifully wild and natural beaches just outside your holiday flat. All provinces offer boat, windsurf, kitesurf, and kayak hire and tuition – a brilliant and safe way to have family fun. 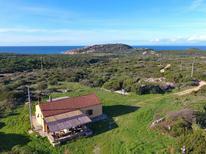 Sardinia's interior landscape is made up of unspoilt mountains and parkland rich in biodiversity to indulge in. 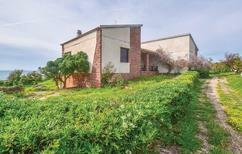 Monte Urpinu in the Cagliari province offers unparalleled views over the capital as it blends into the peninsula. It promises flamingos and Sardinian deer. Meander through the 13th century Castello, or if you want to take things a little faster, try a bike or Segway tour! If you’re around the Alghero region, don’t miss out on Le Ragnatele high wire obstacle course for all ages. Visit Orgosolo for festivals with traditional costumes. From your holiday apartment in Costa Rei, embrace cobbled streets, traditional Sardinian delicacies, and backstreet trattorias. Take advantage of the freedom your holiday home offers - visit San Bendetto market and local delis flocked to by locals and visitors alike.